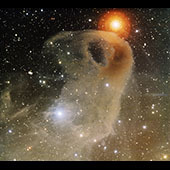 LBN 777 is a portion of the large cloud of dust and gas known as the Taurus Molecular Cloud. The brownish color is caused by large dust grains embedded in the gas. 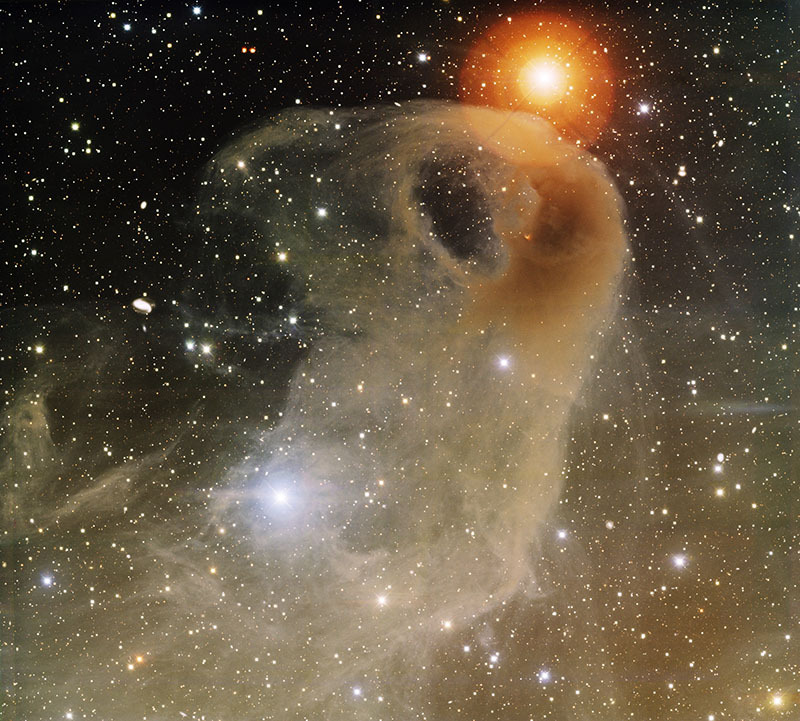 The dust reflects the light of the stars inside and near the nebula.